Besides the already mentioned books, she is the author of A Sociology of Globalization (Norton 2007; Losing Control? Sovereignty in an Age of Globalization	(Columbia University Press 1996); Globalization and its Discontents. Essays on the Mobility of People and Money (New Press 1998); Guests and Aliens (New Press, 1999), Cities in a World Economy	(Pine Forge/Sage, 1994; with 3 fully updated editions in 2000, 2006, and 2011). 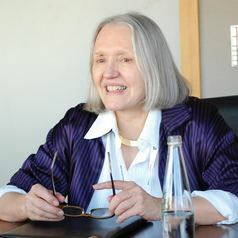 Her edited books are Deciphering the Global: Its Scales, Spaces and Subjects	(Routledge 2007), Human Settlement and the Environmental Challenge (Oxford: EOLS 2006), Global Networks/Linked Cities	(Routledge 2002), and the co-edited Digital Formations (Princeton University Press 2005. She has published over 100 academic articles in peer-reviewed journals. She has received Doctor Honoris Causa from DePaul University (Chicago) where she also gave the commencement address, Delft University (Netherlands), Universite de Poitiers (France), the Royal Stockholm Technical University (Sweden), Ghent University (Belgium), Warwick University (UK), Ecole Normale Superieure (Paris), Universidad de Murcia (Spain), European University Institute (Florence). She is fluent in Spanish, Italian and French, and good in Dutch and German. She also studied Russian and Japanese.